You can really learn a lot about a place by playing Tag-O-Rama on ADVRider. The local knowledge and diverse interests of the players can really make for some interesting tag locations. Tag-O-Rama is a photo-tag game played in the regional forums on ADVRider.com. The first rider rides to a location and takes a photo of a place or thing along with their motorcycle. They then post the picture in the Tag thread with a clue about the location. Players then head out to try to reproduce the photo as closely as possible. The first person to post the correctly duplicated photo tag then has to find a new tag location to post and so on. It’s really quite fun and as it turns out a great way to learn about the history of an area. I have found that on occasion, the game has turned up some interesting places to go back and visit when not playing. 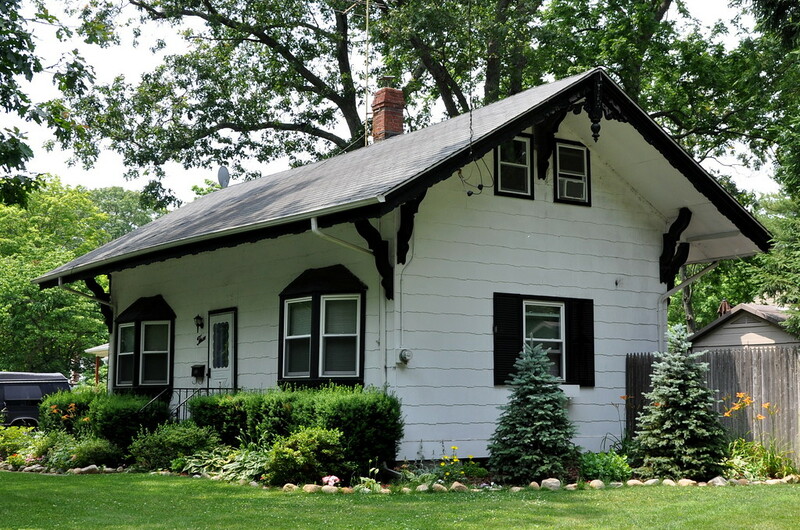 One such spot here on Long Island is a private home from around 1900 that was once the Smithtown Railroad Station. I found it interesting that the home is not currently located near any railroad tracks. I sent a message to the Long Island Railroad Museum to ask if the building had been moved or if the tracks were routed differently over time. I received a very quick and helpful email response from a gentleman there who said that the home was indeed the former Smithtown Station and that it had been moved in the 1960’s to it’s present address when the new station was built. There are some great historical photos of the station in it’s former life located on MaggieBlanck.com. Who says riding a motorcycle isn’t educational? As I continue to learn, Long Island has some lovely and interesting places that are rich in history, some of which are hiding in plain sight. What better way to explore these historical gems than by motorcycle? This post is part of a series of motorcycle rides that focus on local Long Island history. That station/house is adorable and Tag-O-Rama sounds fun! I agree with wendyvee! I’ll have to check into Tag-O-Rama!! Wendyvee & Pam – it’s great. Lotsa fun. You get to ride, look at stuff and maybe even learn something. That’s a win for me!